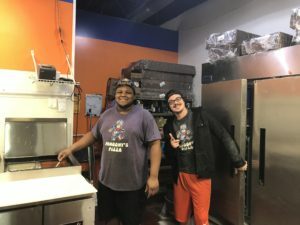 Panoony’s Pizza and Wings was created to provide remarkable experiences through amazing food, A+ customer service, and community growth and donations. 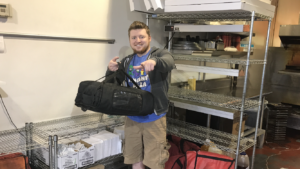 Panoony’s Pizza and Wings was created by Ian Patterson with the idea of bringing real, authentic food to the lovely town of Brownsburg. 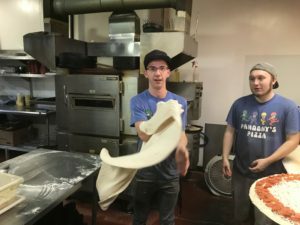 Ian, being from upstate New York, specialized in pizza and had a dream of sharing his unique recipes with the lovely folks around him. This includes delicious pizza, calzones, and jumbo chicken wings just like he made at home. With the help of family and friends, this dream became a reality in May of 2013 as the doors of Panoony’s opened. Since that time, he has expanded the menu to include a variety of pasta, subs, and salads. Panoony’s has grown into a very popular spot to enjoy tasty food and receive the very best customer service. The name “Panoony” comes from a video game character that Ian created years ago. This bizarre name quickly transformed into Ian’s nickname and thus became the name of his restaurant. 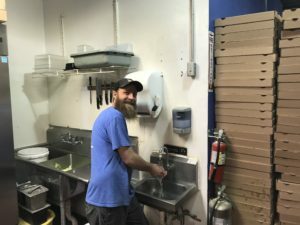 Now going on five years, Panoony’s is actively working on expanding and bringing our cuisine to more areas while continuing our dedication to top-tier customer service and dining experience.